Must select one player from every team, must select at least 17 forwards, must reach at least 60% of the salary cap, must select at least 20 players under contract, cannot buy players out until the end of 2017-18 season, and no trade backs until January 1st, 2018. Those were just a few of the regulations the Golden Knights had to follow during the Expansion Draft. They were widely reported by hockey media before the draft (here and here are two of the best sources) and then the NHL put out a rules list the day Vegas was awarded a team. Reported by many was the rule prohibiting the Golden Knights from trading a player back to their original team. However, when the NHL released their rules, it was nowhere to be found. Now, it appears that rule was on the books, but it had an important caveat. LeBrun tweeted this prior to the Marc Methot trade, and then later confirmed McPhee did indeed have discussions with the Senators on trading the blueliner back to Ottawa. Of course, it did not happen. We’re coming up to 24 hours since the beginning of the Expansion Draft, and at this point, there are still 28 picks still on the roster. They also added seven players at the Expansion Draft via trade. Today, the Golden Knights flipped Trevor van Riemsdyk and David Schlemko for 2nd and a 5th round pick. But that’s it… for now. So let’s break down the numbers. The key number is the total number of NHL contracts currently under Vegas control. That number 29, including Vadim Shapachov. 14 forwards, 12 defensemen, and three goalies. Realistically, those numbers need to come down to about 11-12 forwards, seven to eight defensemen, and either two or three goalies. That’s a total of between six and nine players that have to go. This is even before you consider the possibility of opening up roster spots for Erik Tuch, and maybe Brendan Leipsic, Tomas Nosek, and/or Jake Bischoff. So let’s just go player by player, and break it down. Marc-Andre Fleury (G) – It feels like he’s already the face of the franchise. Weird how quick that happened, but if they wanted to trade him, he would have been gone already. This was a long time coming, he’s not going anywhere. Deryk Engelland (D) – The defensemen signed a one year deal to play for his adopted hometown team. He’ll likely be towards the bottom in time on ice, but he’ll probably be in a Golden Knights jersey for the rest of his career, definitely come October. Vadim Shipachyov (F) – Wouldn’t have signed him to move him. He’s probably taking the face off in Dallas on October 6th. Being the first expansion team in the history of the salary cap era paid off big time for George McPhee and the Vegas Golden Knights, and we haven’t even seen the second wave of transactions yet. David Clarkson and Mikhail Grabovski are both injured and will likely not play a single game in 2017-18. Yet the Golden Knights acquired both and got a king’s ransom to do it. Two 2017 first round picks and two 2019 second round picks, to take some salary cap off the hands of the Isles and BJs (yeah, we’re going to keep doing that). So what does it mean for Vegas? Jason is currently working on rounding up all of then audio and video he was able to gather from the basement of T-Mobile Arena, and I am about to get on a plane to Chicago to cover the NHL Entry Draft. But before I do, here are my quick observations for now. We will have a bundle of stuff tomorrow. Before you go making any judgments on how many picks they got or who they picked or didn’t pick or whatever, wait until the all the trades go through. There should be at least one more first round pick in the works, possibly two or three. They were able to pick up the following picks. 2017 – 1st (#13), 1st (#15) 2nd, 5th, and 6th. 2018 – 4th 2019 – 2nd, 2nd, 3rd 2020 – 3rd. That’s in addition to the seven they already have in each draft. Only pick moved was 4th round in 2017, that will likely be recouped in spades when it’s all said and done. To clarify the Winnipeg situation. Columbus gave the Golden Knights a 1st and 2nd to take David Clarkson and lay off a whole host of guys. Vegas then traded that first rounder (#24) to Winnipeg to move up to #13 and they got an extra 3rd. David Clarkson is injured. He was expansion exempt, but the was included in an expansion deal. It’s a straight salary cap dump on Vegas. Excellent move to take him on. Detroit is confusing. Tomas Nosek was the player selected, no side deals were made. We need to learn a lot more about him. The Islanders got smoked in this draft. Lost three players and a first and second. Anaheim only wound up losing Theodore and Stoner. Theodore is a great player and is certainly in the “core” player for the Golden Knights. Chicago only gave up TVR to this point. More to come obviously. Marc-Andre Fleury got a massive ovation, and it was awesome. The Lightning may end up being one of the best returns from the draft. Jason Garrison is possibly on his way out and they were able to get a 2nd, a 4th, and Nikita Gusev. There’s got to be more to come with Florida. McPhee is almost certainly not in the business of moving a pick for a player, at least right now. He moved a 4th, and got Reilly Smith. Expect Smith and/or Marschessault to be gone tomorrow. That’s it for tonight. But tomorrow bright and early we will have a bunch more. Prior to the Expansion Draft the term of the day was “player redistribution.” George McPhee and the Golden Knights front office used the term over and over expressing concerns that there might be a ton of player movement prior to the Expansion Draft. Well, it appears McPhee took matters into his own hands and put the kibosh on that. All these VGK deals have created quite a logjam. NHL GMs alternately awestruck/aggravated at how VGK GM George McPhee orchestrated it all. Many talking about "The Pledge." That is, if VGK did deal with team, VGK insisted that team not do any other deals that could harm VGK. So from the moment a team did a deal with VGK, that team couldn't make pre-freeze trade with a third party if it affected VGK in any way. Essentially, McPhee told every GM he made a deal with, they’re not allowed to make another deal prior to the the rosters freezing on Saturday night. Reports have indicated that the Golden Knights may have close to 15 trades completed at the Expansion Draft, and it’s likely about half of them were done before the freeze. The time is here, the Golden Knights are on the clock. George McPhee and his staff have been delivered the Expansion Draft protection and exposure lists, and now have 72 hours to select their 30 players. During this same 72 hour period, Vegas has an exclusive window to negotiate with unrestricted free agents not protected. If they sign a player during this window, it will count as the Golden Knights selection from that player’s former team. The NHL has emailed the protection lists to the Golden Knights, the NHLPA, and the media. We have posted them below. We are currently taking a look at the lists and we will post our observations below. Neither Manson nor Vatanaen are protected for the Anaheim Ducks. Almost certainly a deal in place to lay off one or the other, or both. Ducks do NOT have a 1st round pick in 2017 Draft. Minnesota has protected Jason Zucker, so Vegas fans can let that dream die. However, the Wild did leave Matt Dumba, Erik Haula, Eric Staal, Marco Scandella, and Gustav Olofsson exposed. Vegas will get either an excellent player, or flip for a solid asset. Nashville protected Calle Jarnkrok, leaving James Neal exposed. Other options include Aberg, Sissons, or even Mike Fisher. No surprises out of Chicago. Kruger and van Riesmdyk are available. Young defensemen Ville Pokka is also exposed. The deal that most have been reporting is likely to come through. Matt Moulson is available. Remember, McPhee is the Godfather to Moulson’s wife. Buffalo also left Franson, Bogosian, Kulikov, and Ullmark exposed. Marc Andre-Fleury is exposed, as expected. But still, no guarantee he’s going to be playing in Vegas. He’ll likely be selected, but Vegas must take three goalies, so at least two other teams will be losing a goalie. He could possibly be flipped to one of those teams. Keep your eye on Xavier Ouellet who is exposed from Detroit. Most have the Golden Knights picking Riley Sheahan, but the Ouellet could be the steal of the Expansion Draft. The top three players picked by experts to be selected from Colorado have all been protected. Carl Soderberg is the new consensus pick. Mikhail Grigorenko and Patrick Wiercioch are close behind. Dallas did protect Valeri Nichushkin. They must expect him back from Russia. Tampa Bay found a way to protect both Killorn and Namestnikov. Highest remaining available players are J.T. Brown, Cedric Paquette, and Slater Koekkoek. ARI, FLA, LA, NSH, NJD, NYI, and PIT used the 8/1 protection format. Only NYI protected 5 defensemen. 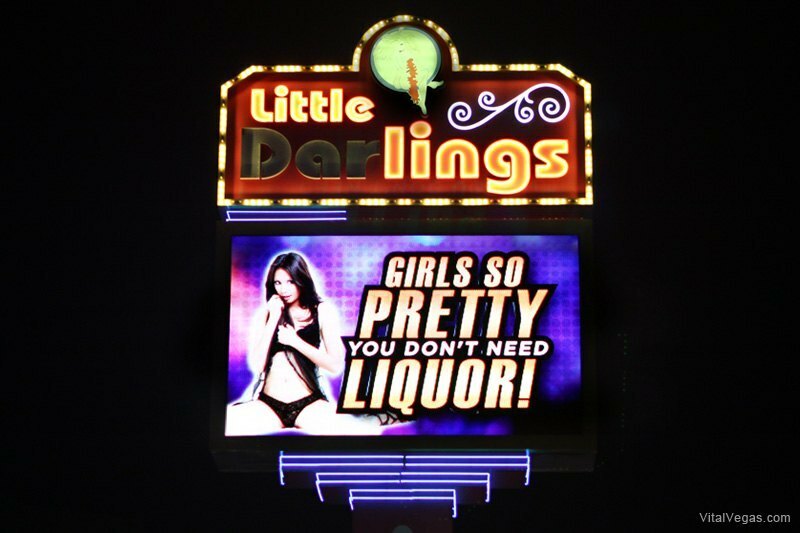 Like when a six hits the stage at Little Darlings, it feels like all eyes in the world are on the Expansion Draft. You’ve heard from the analysts, the GMs, and us jerks here at SinBin.vegas, but what about NHL players, especially those who are going to be protected. Kings star Drew Doughty told TSN that expansion has been a huge topic among players. Doughty implies that it’s been on players minds all season. I’m sure some even suffered anxiety thinking about their future. Meanwhile, protected players can sit back and enjoy a comfortable offseason. Doughty is already staking his claim in Las Vegas. The Kings defenseman is happy about the short travel and the addition of a new divisional team, which in his mind really means more sleep and easier wins. Developing a rivalry starts with angry, passionate hockey. Both teams need to play competitively and every good rivalry needs some public chirping. Does this count? The Kings star isn’t attempting to act like the Pacific division big brother, but he is. Vegas fans will hate the confidence Doughty and his Kings bring to town. And there are more teams that feel the same. Brash road teams will win 6-3 or get lazy and foul it up. As long as one of those foul-ups eliminates LA from the postseason, Golden Knights fans will be fulfilled for the season. Is that too much too ask? We’ve long talked about the Expansion Draft from George McPhee’s point of view, but we finally got a chance to ask the man who will be coaching all of the players selected what his role will be during the 72 hour period from June 18th to the 21st. George will pick the players, Gerard will coach them. That’s how it was described the day Gerard was hired, and that’s how it appears it will remain through the biggest 72 hours in Golden Knights history. We’ve written over 300 articles specifically referencing the Expansion Draft, and the Vegas staff has to get it all done in a 72 hour period. We assumed there wouldn’t be much sleeping going on, Gerard confirmed. Gallant’s job starts soon though. Development Camp starts up on June 26th with the first practice on the 27th at the Las Vegas Ice Center. Gallant says there will be 44 players suited up. These will include the draft picks, free agents like Reid Duke and Tomas Hyka, and a host of players on try-out contracts.